There are crucial distinctions to be made when comparing financial advisors and wealth management firms in Omaha. There are fee-only advisors, fee-based advisors, commissioned advisors, and so on. So, who should you trust with your money? How do you determine who is trustworthy? One great way to instill trust is to meet with a local financial advisor in Omaha that is available to meet with you and discuss your financial concerns in person. Today, many financial planners in Omaha and across the country can now service clients remotely. All you need to do is schedule an interview with an advisor over the phone, and you can sign on with the advisor that fits you best. This is good news for you, since investors aren’t nearly as limited in choices as they once were—but you can’t afford to go with just any financial advisor, can you? While widening the pool of available financial advisors can be helpful in some respects, it can also make the selection all the more daunting. Besides, wouldn’t you rather choose a trustworthy, reputable, client-focused financial planner in Omaha if that’s closer to where you live? Luckily, there are many excellent wealth management firms in Omaha waiting to listen to your needs and concerns, which is where our list of the top financial advisors in Omaha comes in. Let us clear away the clutter for you by showing you the key traits that make for an excellent financial advisor in Omaha, NE, detailed in our ranking of the best Omaha financial advisors below. When it comes to evaluating financial advisors in Omaha, there are typically two types of firms to consider: fee-only and fee-based advisors. How do you know which type of Omaha financial planner is right for you? Below, we’ll provide you with a brief overview of everything you need to know about the differences between fee-based and fee-only Omaha financial planners. When an investment firm or a financial planner in Omaha says that they are “fee-only,” this means that they do not accept commissions or third-party referral payments. In short, a fee-only financial planner in Omaha is in a better position to act solely in the interest of their clients. Fee-based Omaha financial advisors will receive some direct compensation from clients, but are free to accept commissions from the companies who provide their financial products. As a fiduciary, a financial advisor in Omaha is legally responsible to fully disclose any conflicts of interest and are required to put the interests of their clients ahead of their own, regardless of their pricing structure. Below, please find the detailed review of each firm on our list of best Omaha wealth management firms. We have highlighted some of the factors that allowed these Omaha financial advisors to score so high in our selection ranking. America First Investment Advisors, LLC (AFIA) is an independent financial advisor in Omaha, NE serving high-net-worth individuals and families with at least $300,000 to invest in long-term strategies. As a fee-only Omaha financial advisor, clients can trust that America First will never sell investment products or charge commissions, demonstrating a client-centric commitment to trust and transparency. As a fiduciary, America First Investment Advisors will serve your best interests first and not their own since fiduciaries are bound by law to put your financial needs at the center of their operations. Due to America First’s independence, it is free to select asset investments from a global pool of candidates. These Omaha financial planners are not bound to a parent firm’s preferred buy list or biased, incentive-fueled partnerships. Whether the investment originates with a company on the other side of the world or just a state away, the Omaha financial advisors at America First can diversify your portfolio from within a larger quarry of opportunities thanks to its independent nature. All of this translates into objective advice from their financial advisors in Omaha that will help you reach your goals more quickly and securely. High returns: America First considers a stock for selection only if the company earns high returns. Managers who think like owners: America First will reject any stock that is managed by executives who show less than a dedicated owner mentality to the company. Favorable price: If the stock meets the first two requirements but it is not available at a favorable price, America First will dismiss the stock from consideration. The firm believes that prices favorable to the investor further minimize risk. While their technical expertise in investment management is certainly notable, what truly makes America First stand out is their commitment to their clients. America First places strong emphasis on maintaining an “Old School” approach, meaning that client relationships are first and foremost, making the firm a great option for clients that want a personal relationship with their Omaha financial planner. 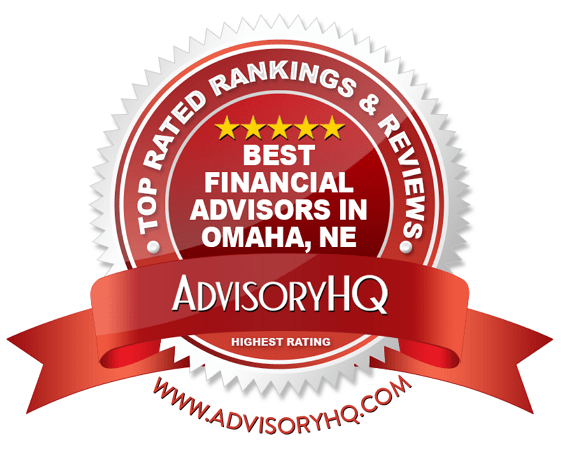 As such, these Omaha financial advisors take a proactive approach to keeping the lines of communication open for clients to reach out whenever they have questions or concerns, earning the firm a 5-star rating as one of the best financial advisors in Omaha. Callahan Financial Planning was created by William A. Callahan, who envisioned an Omaha wealth management firm that provided conflict-free financial advising for clients. With a focus on providing unbiased and transparent financial guidance, Callahan Financial Planning is a fee-only financial advisor in Omaha. For all their good intentions about helping people grow their money, many wealth management firms have one flaw: they focus their attention on people who already have a foundation of wealth. What about those people who need a financial advisor to establish that groundwork? Your financial planner in Omaha will work with you to generate positive cash flow by helping you manage your budget, build an emergency fund, and stop living paycheck to paycheck. This is not an idealistic exercise, either—your Omaha financial planner will work with you to determine what is feasible and what isn’t. As a top financial advisor in Omaha, Callahan offers comprehensive wealth management services. With comprehensive wealth management and financial planning services, Callahan Financial Planning offers clients a conflict-free and in-depth financial management experience, speaking to the overall strength of the firm. However, potential clients should note that with only three Omaha financial planners and an additional location in Lincoln, Callahan Financial Planning may not have the staff size to support the full breadth of individual client concerns. Compared to competing top Omaha financial planners, the potential limitations of a small staff size earns the firm an overall 3-star rating as a best financial advisor in Omaha. Cambridge Advisors Inc. is a fee-only Omaha financial planner founded in January 1990 by Gaylan Abood. Its primary clientele is high-net-worth individuals with $500,000 or more in available assets. As one of the Registered Investment Advisors in Omaha, Cambridge advisors are legally bound to serve your financial needs ahead of their own. This is supported by the firm’s status as a fiduciary advisor. Investors can be sure that the only revenue that Cambridge makes is derived from its up-front management fees and nothing else. This results in untainted, client-centric advice that is not driven by company profits. Cambridge advisors earn no commissions or incentives, and the firm does not utilize revenue sharing. Quarterly management fees average out to 0.25 percent of assets under management. Included in this cost is all of Cambridge’s wealth management and financial planning services. Cambridge utilizes their proprietary A.I.M. process to craft customized plans for each client while ensuring that portfolios are meeting unique client objectives. 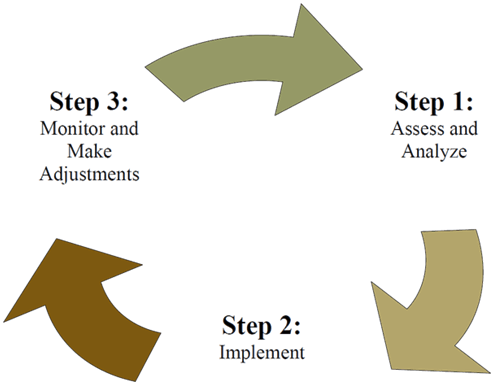 Assess & Analyze: During this first step, Cambridge’s Omaha financial advisors collates all necessary data points to get a clear, accurate picture of your financial needs. This includes your preferred timeline, tax efficiency, account types, and more. Your financial plan reflects this data as do any recommendations your advisor may make. Implement: Your customized plan is then implemented. No model portfolios are utilized—only your unique, specific investment plan created just for you. To increase customization, your Omaha financial planner may implement the plan gradually as your needs dictate. Monitor & Make Adjustments: Going forward, your Omaha financial planner will monitor and rebalance your portfolio as needed. Your advisor will also meet with you to discuss progress or when you experience big milestone events such as buying a new house or new car, the death of a spouse, and more. Depending on how your portfolio is performing and the specific life events that you’re undergoing, the A.I.M. process will continue to repeat to maximize your investments and help you avoid as much risk as possible. As a top financial advisor in Omaha, Cambridge Advisors Inc. provides clients with an in-depth, personalized process and a focus on long-term relationships, two key elements in any successful financial plan. The firm also places a strong emphasis on collaboration, allowing each client to benefit from the collective knowledge and experience of the entire advisory team, solidifying Cambridge Advisors Inc. as one of the best financial advisor in Omaha to consider partnering with this year. Curnes Financial Group is an Omaha wealth management firm that has its roots tracing as far back as 1960. As a part of Cetera Advisor Networks, the firm has access to a national network of support, guidance, and best practices. While Curnes Financial Group is a fee-based financial advisor in Omaha, NE, we have chosen the firm for their team-based approach and wide range of financial services. The team of financial advisors at Curnes boasts a combined experience of more than 175 years. Since they work as a team, this amassed expertise is distributed among all the financial advisors. In this way, the Omaha financial advisors at Curnes provide clients with multiple perspectives that are deepened by this collaborative approach. As a result, clients benefit from the collective experience and outlook of the group, rather than having to rely on the viewpoint of one single advisor. Part of what makes Curnes Financial Advisors into one of the top financial advisors in Omaha is their dedication to support financial literacy through videos, presentations, articles, and financial tools on core topics like retirement, tax, lifestyle, and more. Curnes also provides clients and non-clients alike with access to a glossary of commonly used terms, tax resources, FAQs, and helpful links to help clients make better financial decisions, both in the advisor’s office and on their own time. With a wide range of financial services and a strong commitment to helping clients improve their financial health, Curnes Financial Advisors is one of the top financial advisors in Omaha to consider partnering with this year. Foster Group is a fee-only financial planner in Omaha that serves high-net-worth clients and their families. This Omaha financial planner also assists institutions, non-profits, corporations, and company retirement plans. Foster Group is an independent, fiduciary, fee-only financial planner in Omaha. What can you expect from these designations? Independent: Foster is independent and privately held. This means its financial advisors in Omaha make decisions about your account without being influenced by anyone outside the company. In fact, the ultimate and final influence on your account is you. Fiduciary: This Omaha wealth management firm is legally obligated to put your interests first. It is not allowed, at any time, to serve its own bottom line at the expense of your interests. Fee-Only: Foster does not sell any products or additional services, precluding commissions, incentives or bonuses. Due to this, you can be assured that the advice you receive from your Omaha financial planner does not come with conflicts of interest attached. Foster Group wants to be a part of its clients’ lives through retirement and beyond. To facilitate this, this Omaha wealth management firm nurtures a long-term relationship with each investor. This process begins during the first interview. It is then that Foster’s financial advisors get to know their clients as well as their clients’ values, financial goals, relationships, and investment preferences. From there, their financial advisor in Omaha makes recommendations and suggestions tailored to the client’s emerging financial profile. Not only that, but this Omaha wealth management firm also coordinates with your existing team of consultants. In this way, Foster Group can receive valuable input that will, in turn, help it make spot-on recommendations for your financial betterment. As a top Omaha financial planner, Foster Group provides advanced financial planning and investment management with a core focus on creating and maintaining long-term relationships. This focus on building relationships with clients is a key driver of their success and goes a long way in facilitating successful financial plans that can stand the test of time, earning the firm a 5-star rating as a top Omaha financial planner. 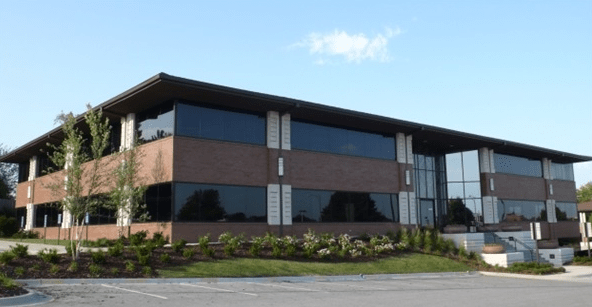 Founded in 1995, HK Financial Services (HKFS) is a financial advisor in Omaha that focuses on partnering with CPAs to provide wealth management services that are integrated with tax planning. Although HKFS does not specifically state whether they are a fee-only or fee-based firm, many representatives are also licensed insurance agents, meaning that HKFS is likely a fee-based financial advisor in Omaha. As always, we recommend verifying fee structure before partnering with any Omaha financial planner. As an independent firm, HKFS is under no obligation to answer to a parent company or external partnership, ensuring that financial advice is unbiased and free from conflicts of interest. Equally as important is the firm’s commitment to handling each account in a fiduciary capacity, meaning that both the firm and its Omaha financial advisors will always put the needs of the client first and foremost. This fiduciary commitment eliminates many of the inherent conflicts of interest that fee-based firms face, making HKFS stand out among competing financial advisors. While some Omaha financial advisors at HKFS may earn commissions from the sale of insurance products, they do not earn commission or sales on investment products, and any conflicts of interest that crop up during your time are immediately disclosed and managed. Financial needs and goals are subject to varying degrees of fluctuation over the years, making it important to find an Omaha financial planner that can grow and change along with their clients’ needs. Brokerage—Provides clients with a brokerage-based portfolio through ProEquities, Inc. Whether you are partnering with a financial planner in Omaha for the first time or if you are a seasoned professional, trust and transparency are two crucial elements of any successful financial planning relationship. For clients in the Omaha area, HKFS provides both trust and transparency through their fiduciary commitment and independent structure, creating a strong foundation for a long-term partnership. With a wide range of financial services added to the mix, HKFS is one of the financial advisors in Omaha to consider partnering with this year. Homan Wealth Advisors is a Registered Investment Advisor in Omaha founded by Richard Homan in 2003. The firm focuses on servicing high-net-worth individuals, families, foundations, and corporate retirement plans. Homan Wealth Advisors is a fee-only financial planner in Omaha. Homan is a founding member of the BAM Alliance, a network of more than 140 wealth management firms. Just like Homan, these firms are independent and share Homan’s desire to do what’s best for their clients ahead of everything else. What membership in the BAM Alliance does for Homan is provide direct access to some of the most established and reputable names in the financial services industry. When you have a complex question or situation arise in your life that affects your portfolio, the Omaha financial advisors at Homan that can turn to fellow BAM Alliance members and collaborate on finding answers to even the most difficult dilemmas. As an independent, fee-only financial planner in Omaha with a fiduciary commitment, Homan Wealth Advisors embodies the ideal partnership, laying a strong foundation for trust and transparency. While Homan Wealth Advisors places significant emphasis on explaining their philosophies and values, it’s worth mentioning that there is little information available regarding specific services, or how they can assist clients with unique financial challenges. For individuals searching for a new Omaha financial planner, this can make it difficult to fully evaluate the breadth of their capabilities. By including specific details about how the firm can help clients overcome financial challenges, Homan Wealth Advisors could easily improve both their value proposition to clients and their rating as a top financial advisor in Omaha. Karstens Investment Counsel is a wealth management firm in Omaha. The company was formed by Mike Karstens in 1993 with a focus on serving affluent clientele. They are a fee-only financial advisor in Omaha. Karstens is a fiduciary financial planner that operates under a fee-only structure. It gets to know each client’s wants and needs to design an investment strategy that focuses entirely on meeting those very needs over the long term. As such, the advice from these Omaha financial advisors is conflict-free. Not only that, but because this Omaha wealth management firm is independent, it has the freedom to utilize thousands of asset opportunities without being swayed by outside relationships. Karstens earns money based on a calculated percentage of assets under management for each client. This percentage is billed every quarter. Karstens utilizes a four-step process in crafting the most customizable plan for each client’s unique needs. Step 1: The Discovery Meeting: Your financial health is reviewed during this opening stage. You also communicate your financial goals and how you hope to use your money in the future, such as buying a new home, paying for your children’s education, and more. All relevant financial data is disclosed at this time, including tax info, insurance info, and the like. Step 2: The Investment Plan Meeting: After step 1, your Karstens financial advisor uses your information to formulate your risk tolerance and determine tax implications. They also help to further clarify your objectives and factor in all short- and long-term investment goals. Step 3: Putting the Plan into Motion: Karstens initiates the transfer of assets and oversees the implementation of your financial plan. It handles paperwork, documentation, and other administrative responsibilities to make sure that you won’t feel overwhelmed during the process. Step 4: Regular Progress Meetings: From there, your Omaha financial planner regularly monitors your portfolio and updates you when needed. Karstens will also inquire about changes in your circumstances. It does this to determine how these changes might affect your financial plan, allowing for modifications to your plan that help you stay on top of your goals. With a thorough, client-centric process and a fee-only structure, Karstens Investment Counsel is one of the best Omaha financial advisors to consider partnering with this year. Uniquely, the firm also specializes in providing financial services for clients in the medical profession and was recognized Medical Economics Magazine as one of the top 150 Best Financial Advisors for Doctors, making Karstens a great choice for medical professionals as well. As an affiliate of accounting and consulting firm Lutz & Company P.C., Lutz Financial is a fee-based Omaha wealth manager. Although we typically prefer to rank fee-only firms, Lutz Financial was chosen as a top Omaha financial planner for their client-centric value proposition, independence, and fiduciary commitment. Lutz Financial is a Registered Investment Advisor that handles each client account in a fiduciary capacity, meaning that both the firm and its Omaha financial advisors will always put the needs of the client first and foremost. This fiduciary commitment eliminates many of the inherent conflicts of interest that fee-based firms face, making Lutz Financial stand out among competing financial advisors. Lutz advisors do not earn commission or sales, and any conflicts of interest that crop up during your time with Lutz are immediately disclosed and managed. Additionally, as an independent firm, Lutz is under no obligation to answer to a parent company or external partnership, ensuring that financial advice is unbiased and free from conflicts of interest. Most importantly of all, the firm works diligently to help their clients become long-term thinkers, planners, and investors, while the Omaha financial advisors at Lutz Financial provide diligence, trust, and confidentiality. For clients that want a financial advisor in Omaha that operates on an ethical, value-driven business model, Lutz Financial is a great fit. Not only does the firm maintain client-centric values, but as a fiduciary, the Omaha financial planners at Lutz Financial can avoid the conflicts of interest that so often come with fee-based planning. Where Lutz Financial falls short, however, is in the way their financial services are communicated. Without details on specific financial services offered, potential clients may find it challenging to fully evaluate the firm. 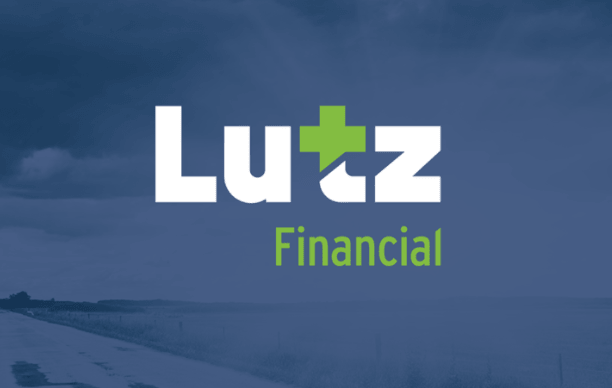 By providing a detailed list on specific financial planning services and capabilities, Lutz Financial can easily improve their value proposition to clients and their rating as a top financial advisor in Omaha. Choosing a financial advisor in Omaha doesn’t need to be fraught with extra worry and anxiety than what is reasonable—after all, this is your life savings, so a little bit of anxiety is expected and healthy. No doubt you’ve heard about investors who have experienced awful client service, poor to nonexistent gains on their portfolios, or even devastating losses. Naturally, you don’t want this to be you, and that’s when the extra worry sets in. 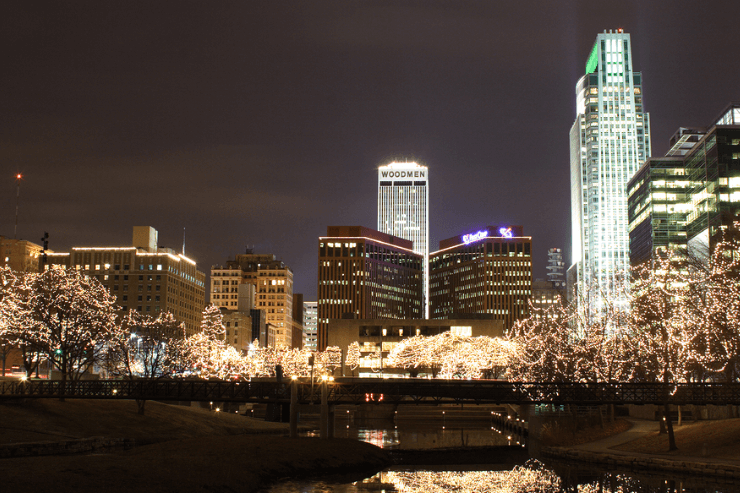 You deserve to do business with a top financial advisor in Omaha. Therefore, sticking to the main ingredients for a good Omaha financial planner, as laid out in our list, will buffer both you and your money against mistreatment. These wealth management firms in Omaha want you to feel comfortable working with them. Anything less makes for an inferior client-advisor relationship. So why not give them a call and tell them your goals, dreams, and fears about your financial future? Let them show you what they have done for others and what they can do for you.